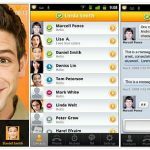 OOVOO Messenger app is premeditated to allow you make free voice calls, video calls and send messages to your family and friends. All you need to stay in touch with your with your friends always is to be on WiFi, 4G and 3G. 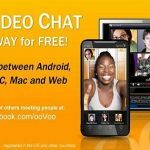 Here is a guide on how to use OOVOO Messenger app to send text messages, make free voice calls and send text messages from your Android or iOS device. Go straight to the App Store or Google Play Store and download the OOVOO Messenger app. You will need to create an account, once you have downloaded the app. This can be done with your email address or sign up with your Facebook account. Bear in mind that you won’t be able to change your username, once you have created it. You will need to confirm your country code and enter your mobile phone number, after you have completed all the necessary information. OOVOO Messenger app will send you a message to confirm your number. The app can access your contacts to see friends that are currently using OOVOO, if you allow it. All you need to do if you want to update your cover photo on your profile is to click on the ‘Settings icon’; click on Edit on ‘Profile’ and click on ‘Update your Profile‘ cover. If you want to leave a status message, you can do so. Simply click on the contact you want to text and then click on the ‘Chat’ icon on the bottom left-hand of their profile, if you want to chat with your friends. Enter a message and click on ‘Send.’ You can upload existing video or photo; you can take a video or photo and see your OOVOO Media, by clicking on the ‘Paperclip icon’. 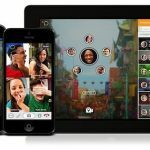 You can easily record a new video to show your friends with OOVOO. Just click on the ‘Paperclip’ icon, then click ‘Take a Video’ and click the ‘Record icon’ located on the bottom right-hand corner. You can select from a selection of filters that you would like to include in your video. On the other hand, you can use OOVOO messenger app to record videos up to a minute long. 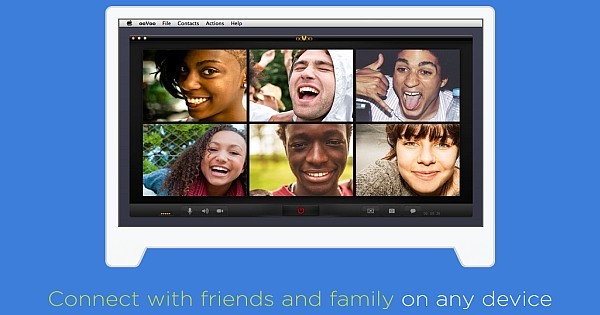 Being able to create a group video chat with up to 12 people, is one of the best features about OOVOO Messenger app. Simply click on ‘+’ and search for friends you want to include in the group video chat, if you are already in a conversation. Simply click on the ‘Call’ icon located on the bottom right-hand corner of the profile of the person, to call one of your friends. You will have options to chat using press mute & hold, speakerphone and you can include additional contacts to the conversation you are making by going to ‘Contacts’.